The Custom Printed Silk Impression fabric is one of our more cost effective alternatives to natural silk. Described as both soft and firm, it’s a plain weave, poly blend material made of spun yarn that has a shiny finish and a translucent effect. The closed weave makes this fabric a solid, yet thin, material weighing 2.4oz. It has no elasticity due to its taut build, however it allows for a fantastic shimmer and drape. Our custom made Silk Impression fabric is very close to Silk Satin, but give them a try for yourself and enjoy the beautiful results. The front and back textures of the silk impression are the same; smooth, silky and fresh. The fabric feels comfortable on the body and is so light that one barely notices it passing over the skin. It is soft, silky, and has a very gentle touch. The flow and drape of this material makes it a very desirable material to work with. If the Silk Impression fabric is worn skin tight then the closed weave provides a layer to lock in heat. 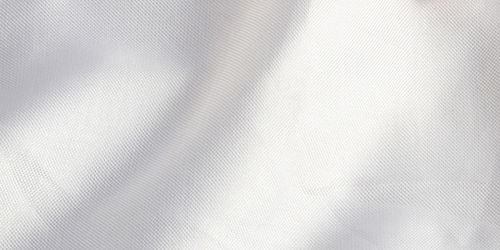 The base color of the fabric is a glistening white. The material has a translucent quality that gives the fabric surface a shine. When it comes to color intensity, the silk impression provides a bright contrast against the bright white base. The colors become ever so slightly faded due to the semi-translucent nature of the material. 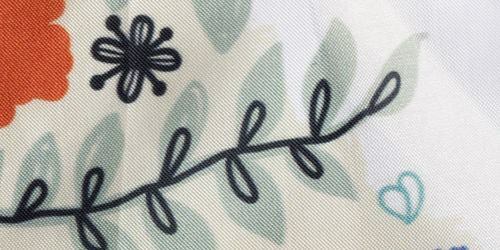 Lines, details, and intricacies show up very well with the Silk Impression fabric printing. With the intense shine given off by the finish, light catches the material easily and reflects light beautifully. The diverse qualities of this fabric make it ideal for quilting, clothing embellishments, and especially clothing and bag linings. Fast and great products!! The fabric I ordered was far above my expectations and arrived very promptly. High quality and great customer service. I have ordered again and will continue to use Contrado for my printing needs. Exactly what I needed We needed a fabric print of a stained glass window...it came out beautifully. The fabric is just what we were looking for, and is perfect for our project. What Is the Difference Between Silk Impression and Silk Sensation? Silk Impression has a crisp white base while the Silk Sensation has a slightly off white cream tone. The Impression has a shimmer to the fabric surface, giving it an almost glittery appearance, and is softer with more drape. Is This a Suitable Material for Curtains or Interior Furnishings? This fabric is mainly used in fashion, but it could be used for interior furnishings, or curtains. Bare in mind it is a very light material so it might need to be accompanied by something else. Can I Print Block Colors on This Fabric? This material, with it's plain weave, perfectly distributes the inks so any prints come out beautifully. Feel safe printing large areas of color, they will look fantastic!